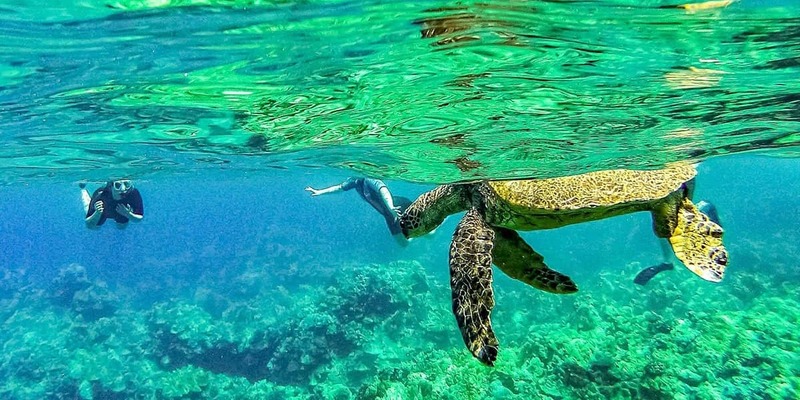 Snorkeling in Maui is a must do! Surrounded by over 120 miles of coastline and over 75 named beaches, the island’s waters are another reason Maui is No Ka Oi! World renown Molokini Crater is a marine conservation district located off Maui’s southern shores, it is the submerged crater of a dormant volcano loaded with tropical fish, many of which are found nowhere else on earth. Accessible only by boat or ocean raft Molokini Crater can be booked as an out and back afternoon trip or include other snorkel stops and coastal cruises along the way. Aside from Molokini Crater there are many more places and ways to explore Maui’s reefs and marine life. The larger boats sail from the ports of Lahaina and Maalaea to locations like Honolua Bay, Olowalu and Turtle Town. The small island of Lana’i across the ocean channel from Lahaina is also a popular destination with pristine unspoiled reefs due to the islands small population and minimal development. Smaller and faster ocean rafts can explore ocean caves and hard to access places like the back wall of Molokini Crater. 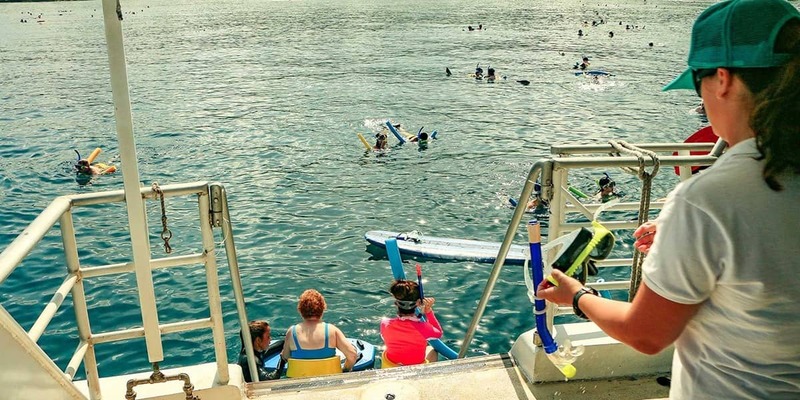 There are also kayak and outrigger canoe snorkeling tours that get you up close and personal with humpback whales (during the winter months), Monk seals and dolphins. We can help you find the perfect snorkeling adventure to fit your lifestyle and vacation budget!